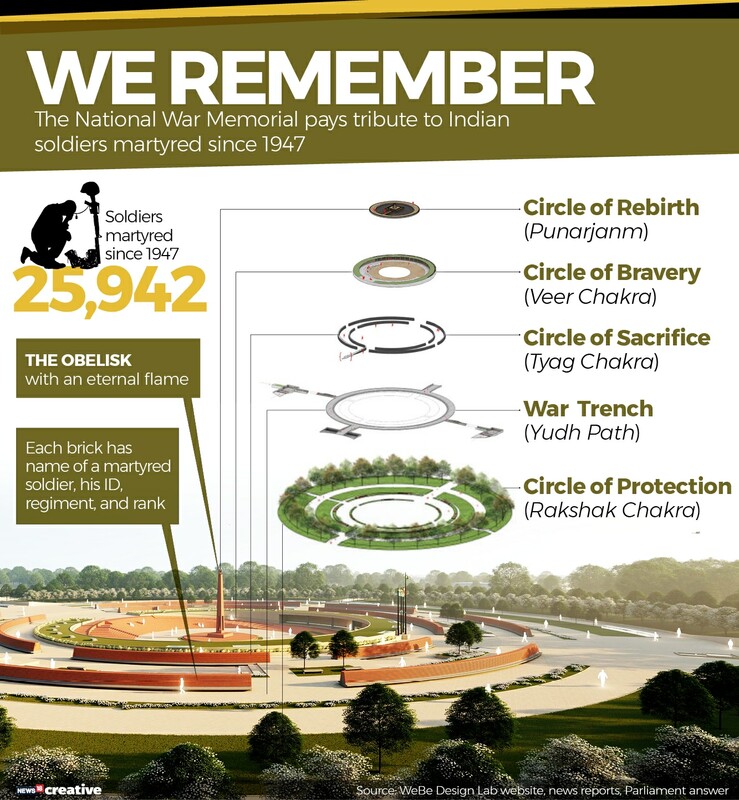 Drawing inspiration from the 'Chakravyuh' formation, the iconic National War Memorial was unveiled on Monday boasts of four thematic concentric circles with a tall ceremonial obelisk at its centre that will bear the eternal flame. 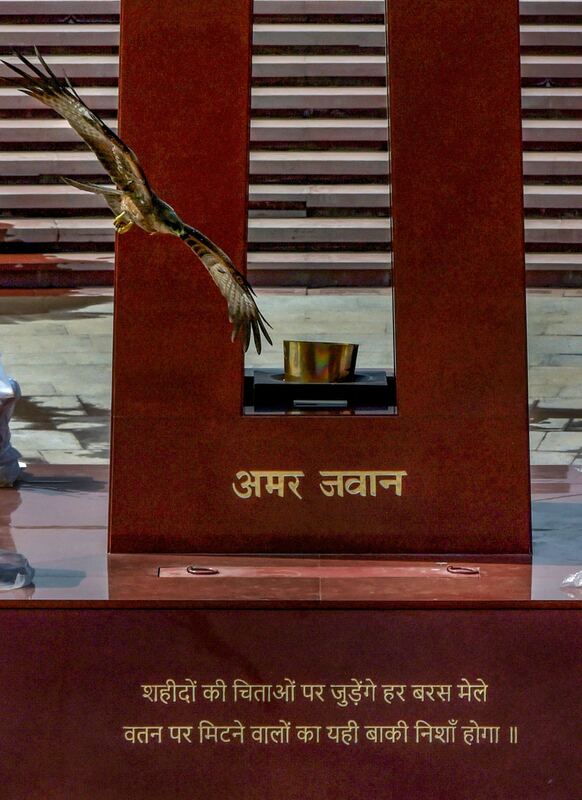 Prime Minister Narendra Modi dedicated the memorial, spread over 40 acres in the India Gate complex here, by lighting the flame positioned at the bottom of the stone-made obelisk. 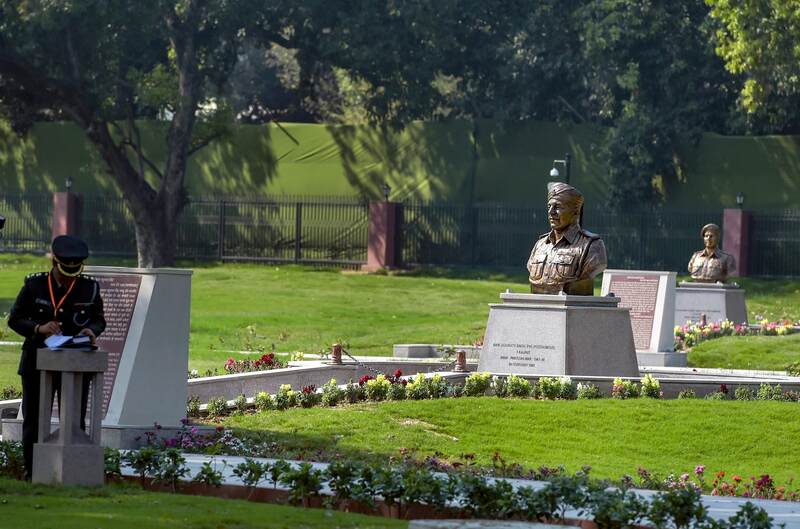 Statues of the Paramvir Chakra awardees displayed at Param Yodha Sthal near the National War Memorial, in New Delhi, Sunday, Feb 24, 2019. 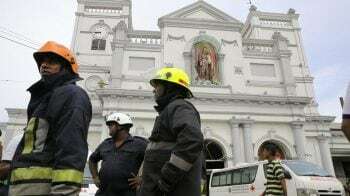 The memorial will be inaugurated by PM Modi tomorrow. 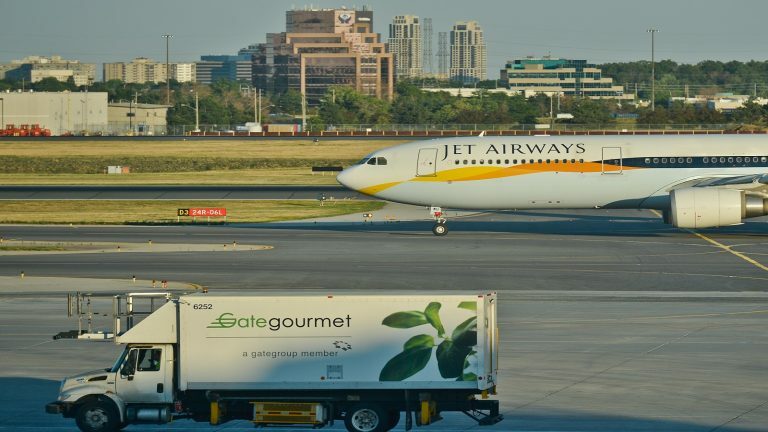 A view of the National War Memorial, in New Delhi, Sunday, Feb 24, 2019. The memorial will be inaugurated by PM Modi tomorrow. 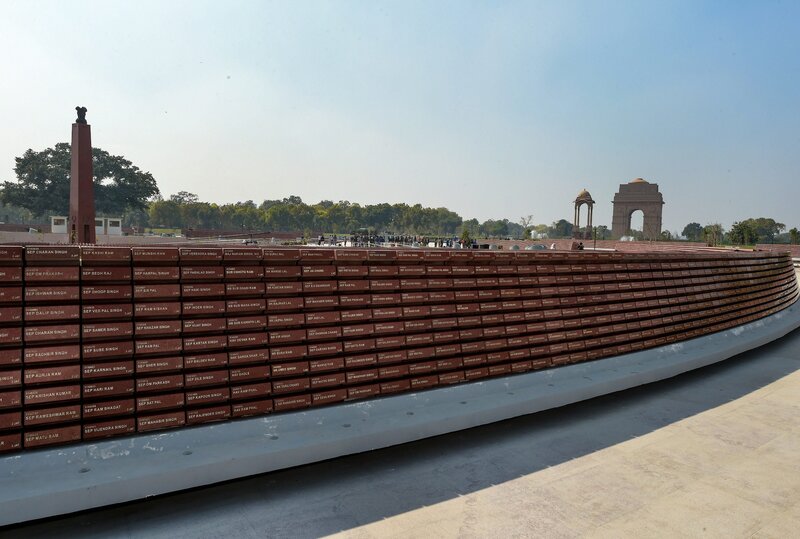 A wall with the names of the martyred soldiers displayed at the National War Memorial in New Delhi, Sunday, Feb 24, 2019. The memorial will be inaugurated by PM Modi on Monday, Feb. 25, 2019. 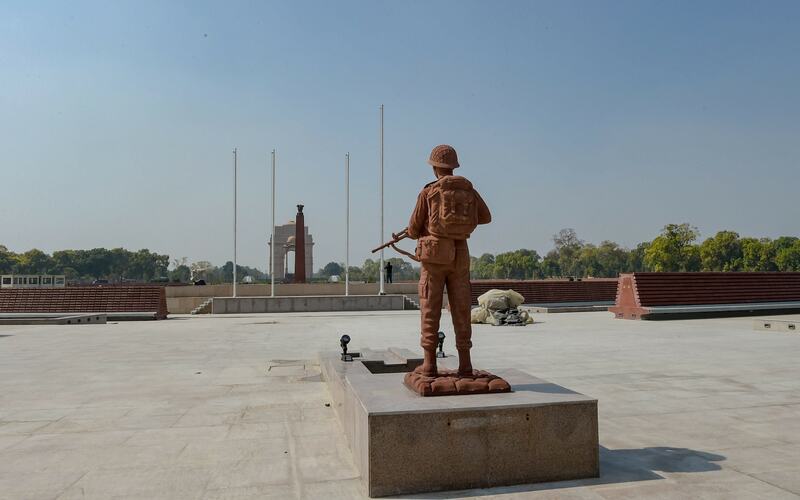 A statue of an army soldier is displayed at the National War Memorial, in New Delhi, Sunday, Feb 24, 2019. 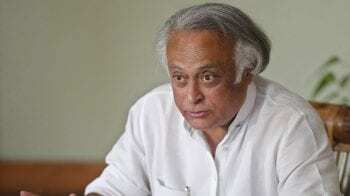 The memorial will be inaugurated by PM Modi tomorrow. 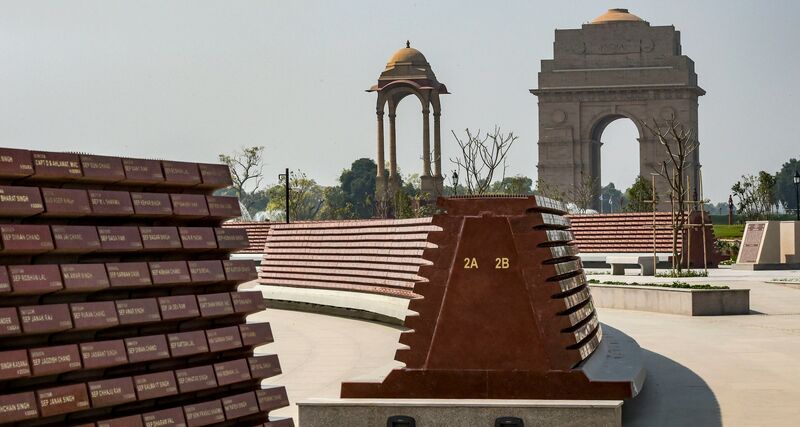 A wall with the names of the martyred soldiers displayed at the National War Memorial in New Delhi, Sunday, Feb 24, 2019. The memorial will be inaugurated by PM Modi tomorrow.